Buy the Alexander Dining Arm Chair Online | Seat Height 18in. Combine comfort and beauty to your home or office with an Alexander arm chair. Hand wrought iron designs delicately compose the back rest of this chair. Choose between a cloth, leather, or pine seat to fit your comfort and look. Hand crafted iron arm rests drape gently down the sides of the chair and continue on to form the four legs of the chair. 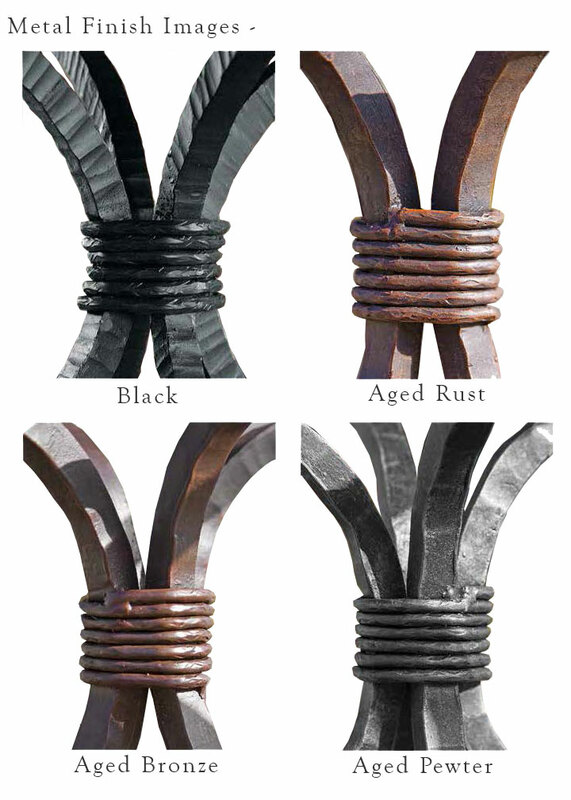 Choose between several iron finishes for the chair of your choice. Arm to Arm (width): 22"
Floor to Top of Arm Rest: 23.5"